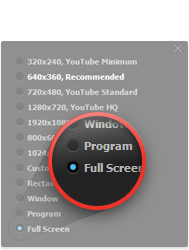 Before recording video or screen, you have to select the screen size to be recorded. 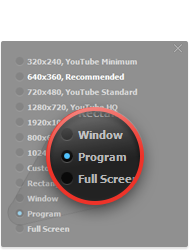 There are many options to choose from. 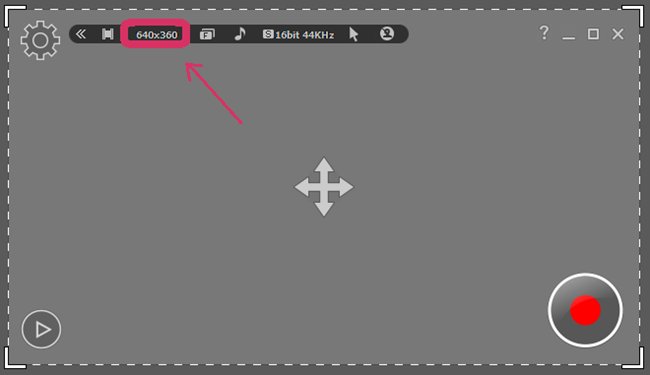 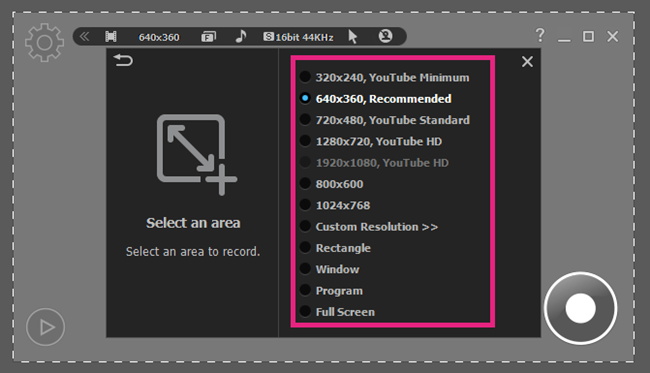 1024 x 768: Select the screen resolution on recording area. 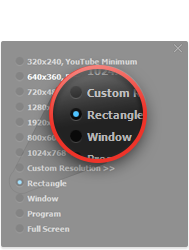 Select a rectangular area to Record. 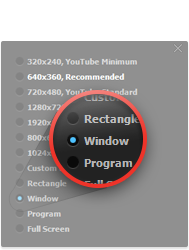 Select a specific window to record. 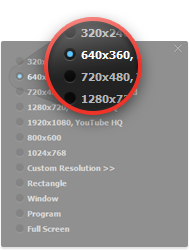 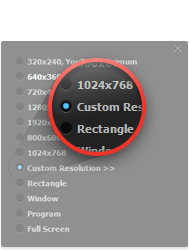 Click “Select the area to record” button in the toolbar on the main window.